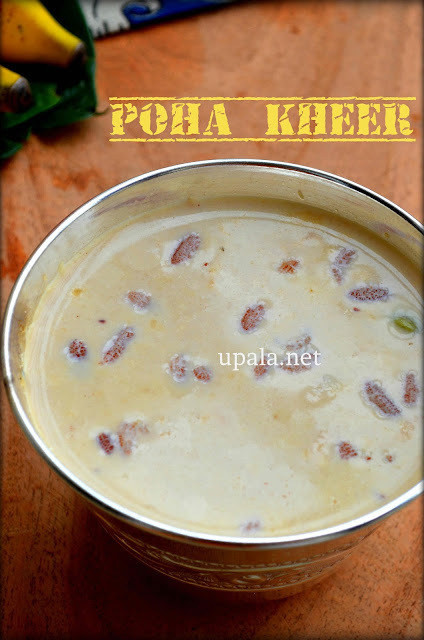 This Red Aval Payasam/Red Avalakki Payasa/Red Poha Kheer is 100% healthy kheer which tastes heavenly. If you are wondering "what is so special about this payasam/kheer?" then here I am with the list of healthy ingredients added to this payasam. 1) Red Aval/Red Poha/Red Avalakki: Red poha is the poha made out of healthier red rice variety, which is nutritionally superior than the white one. In fact, red poha is the suggested option for diabetes people too. 2) Nattu Sakkarai/Country Sugar/Unrefined Cane sugar: This is the unrefined sugar form that is derived from sugar cane juice with no chemicals added to it. This unrefined cane sugar is better option to choose than picking its white counterpart. 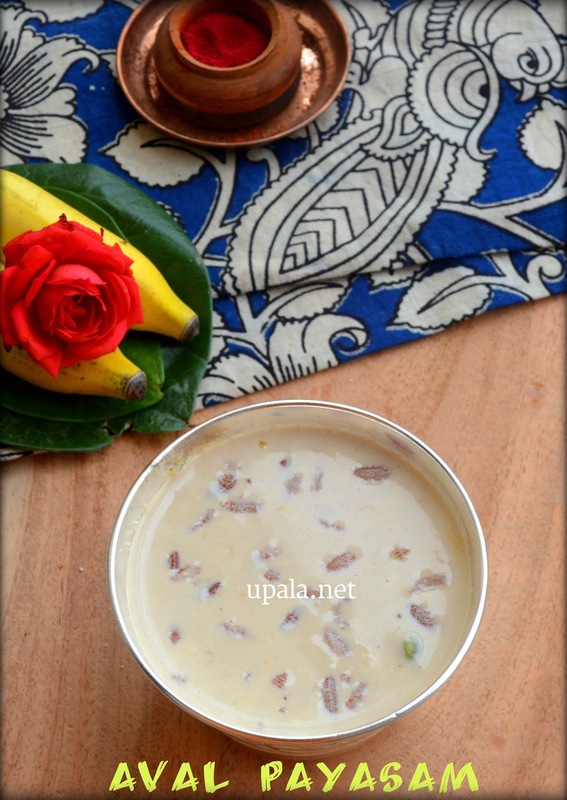 Though only healthy ingredients are added, we didn't compromise on taste of this Payasam/Kheer. It was tasting super delicious with wonderful cane flavour. 1) Wash the red poha/aval for 2-3 times to remove the dirt. 2) Add 1/4 cup of water to red poha and leave it to rest for 15 minutes. 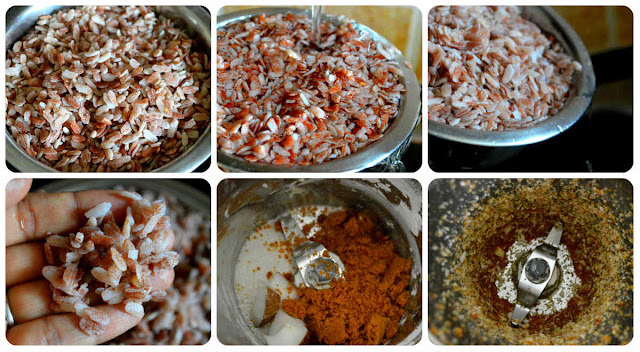 3) Grind Coconut, unrefined sugar (nattu sakkarai) and rice rava*(see notes) to a coarse mixture as shown in the picture. 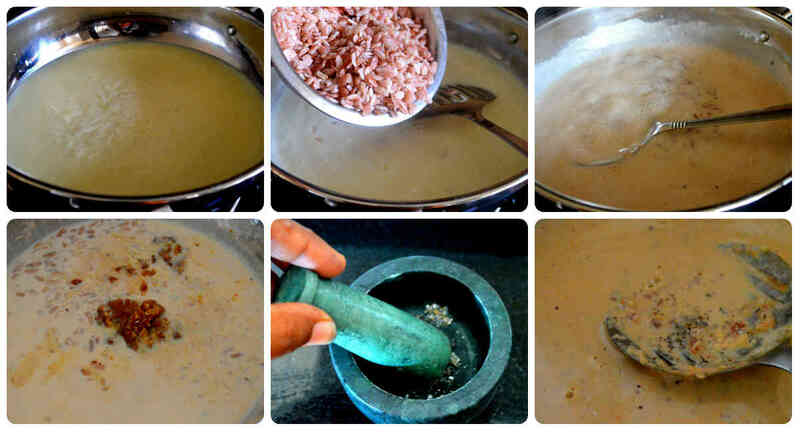 4) Boil milk in a heavy bottom pan/kadai till it reaches 3/4th of its consistency. 5) Now, add red poha to the milk and leave it to boil for 10 minutes. 6) Switch off the flame and leave it to rest till the milk reaches to luke warm temperature. 7) Add the ground mixture to the milk and mix well. 8) Next crush the cardamom and mix this cardamom powder to the payasam. Yummy Healthy Red Aval Payasam is ready. 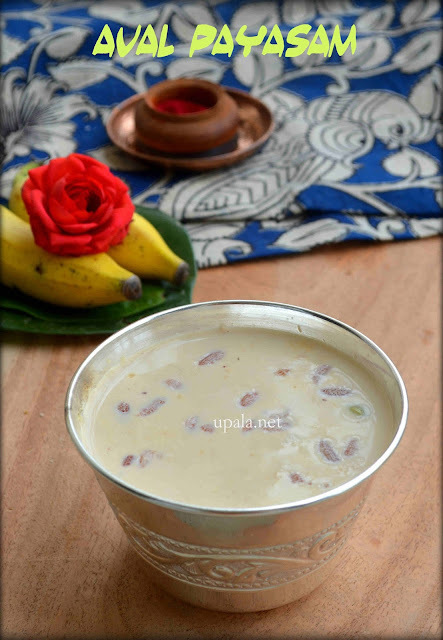 1) You can add few saffron strands to the payasam for a rich flavour. 2) You can fry few cashews, raisins in ghee and add to payasam. I loved the dominating nattu sakkarai/unrefined sugar flavour so didn't add cashews and raisins. 3) If you add this Unrefined cane sugar/nattu sakkarai to boiling milk, it might curdle the milk. That is why, I have added it after it reached luke warm temperature. 1) If nattu sakkarai/Country sugar/Unrefined sugar is not available then you can substitute with brown sugar or jaggery. 1) For Rice Rava: I had some left over rice rava of my Purattasi maavilakku maavu so I used it. Instead of rice rava, you can very well use 1 tbsp of raw rice.